Management And Leadership Articles is designed to help you discover your leadership potential, understand management and give you necessary tools for achievement. The principles in Management And Leadership Articles has been simplified, such that anybody can apply it. If you are an aspiring leader, student, teacher, business person, CEO, a religious leader or in a management position you have come to the best place. 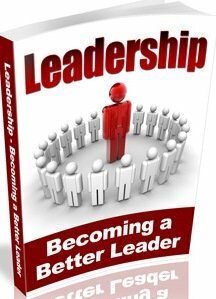 Management And Leadership articles is a coaching on leadership made easy. These Articles were written to serve your needs and answer your question on leadership. Our desire for leadership is good. However, some of us do not understand what is involved in leadership development, others do not know how to take advantage of opportunities to become leaders and still others do not realize their potential as leaders. In Management And Leadership Articles you will you will learn about the criteria necessary for success in management or leadership position. Yet keep in mind this truth: whoever you are and wherever you are, you can be a leader. I want to reemphasize that a leader is simply a person who has a sphere of influence. Men and Women can be leaders in their homes. Young people can be leaders in their workplaces. The custodian of a company is as necessary a leader as the CEO is. If he doesn't do his job well, you have an uncomfortable atmosphere that will affect the entire organization. If you are given any responsibility, no matter how small, then you are in the position of a leader, and there are certain qualifications you must meet to lead effectively. However, the scope of your sphere of influence and the demands it makes on your potential determine the magnitude of your leadership. If you are going to be an effective leader, you must prepare yourself. You have no option. Management and Leadership, difference between leadership and management, management leadership motivation.